Hyderabadi Mirchi Ka Salan Recipe is the most authentic recipe in Hyderabad made with Mirchi that is green chillies and relished along with Biryani. Mirchi Ka Salan is a hyderabadi spicy chilli curry made with long, thick and big green chillies with some masala paste and it goes really well with Biryani. In Hyderabad, Biryani is incomplete without Mirchi Ka Salan and Bagara Baingan. They both go hand in hand. 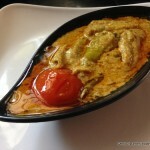 The Salan is very spicy, tangy and full of aromatic flavors into the dish. The masala that goes into making curry is a paste of roasted coconut, peanuts, sesame seeds, cumin seeds and mustard seeds. The tangy taste to the dish comes out only by adding tamarind pulp to the salan. 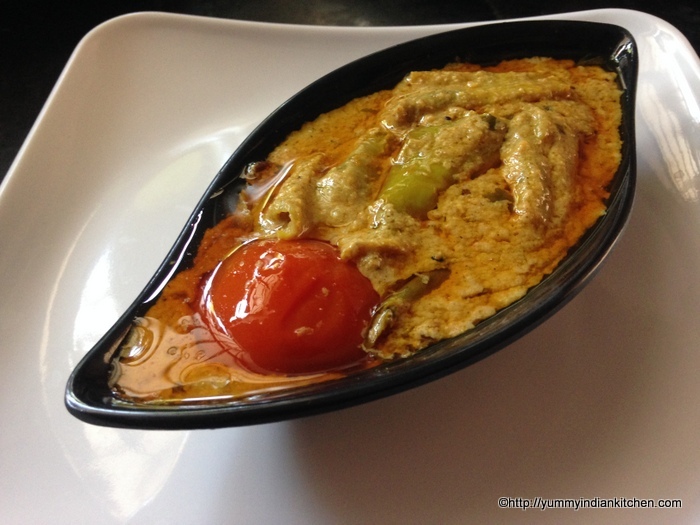 The mirchi ka salan recipe which I am posting here is the traditional and authentic hyderabadi mirchi ka salan which I am sure would be liked by my readers. The mirchi ka salan is sometimes eaten along with roti in Hyderabad and it is a common sight to see hyderabadis eating the curry with rotis. The recipe is made during eid and served with biryani along with desserts such as hyderabadi double ka meetha or sheer khurma during lunch or dinners. When weddings are attended, this is the most common side dish we come across on the muslim wedding platter. The spicy taste that comes out in the dish is only because of the long thick chillies which are fried and added to the salan. ‘Salan’ is just a hindi term as ‘curry’ is in english. Coming from Hyderabadi background I take pride in showcasing different hyderabadi recipes which are still popular in hyderabad and it is our duty to keep the cuisine alive. The slight greenish touch to the delicacy comes only by adding green chillies and is a must try dish for biryani. So lets take a look on making Hyderabadi mirchi ka salan recipe for biryani. Firstly, in a heated pan, dry roast each of them separately that is coconut, peanuts, sesame seeds, cumin seeds and coriander seeds. In the same pan add sliced onions, smear oil and roast for about two minutes. Allow all the ingredients to cool, add all the ingredients in a blender and blend them into a fine paste. To the paste add salt, turmeric powder and rest it aside. In a cooking utensil, add oil and heat it, add kalonji seeds, methi seeds, mustard seeds and let them crackle or pop up, add the green chillies, cover the lid and cook for about five minutes. Lift up the lid, stir and cook for another five minutes. Remove the chillies from the oil and put them aside. Add ginger garlic paste into the tempered cooking utensil, stir for few minutes, add the masala paste which was blended. Cook until oil appears at the sides or corners. Add the tamarind extracted pulp, stir well. Add little water if required and check for the taste of salt. Add the fried green chillies into the curry and let it simmer for about 10 - 15 minutes. The curry should cook well and when oil starts appearing switch off the flame. Serve it with biryani or roti. 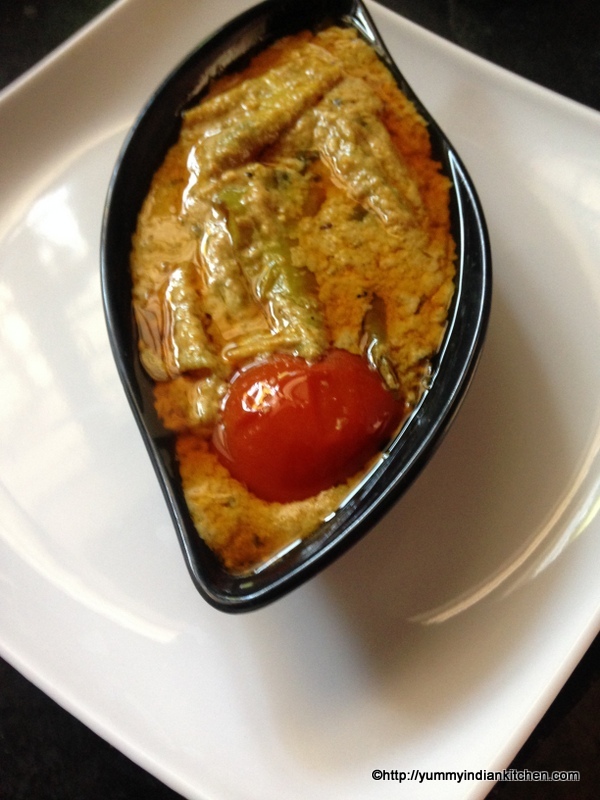 1.When masala is cooking make sure it does not stick to the bottom or keep stirring as the masala is getting cooked. 2.The green chillies can also be shallow fried in oil to make mirchi ka salan. 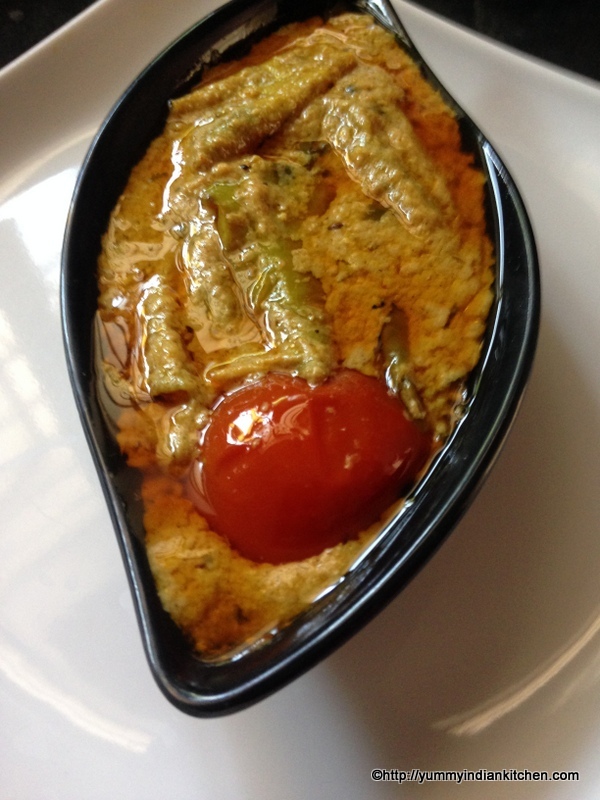 3.One can add a pinch of sugar if the salan is a bit tangy to the taste buds. Flavorful and Delicious ! Very nice recipe.Thanks for sharing. Thank u so much shilpi…. Mirch ka salan looks delicious. .. Thanks a lot for such a tasty and yummy recipe.. I made this for the first time after seeing this and people commented saying it’s very tasty as if made by a professional.. Thanks a ton.. I note that in your recipe of mirchi ka Salam you have not used either red chilliest or chilli powder. How do you get the Khara taste without adding red chilliest or pepper? Assalamu alaikkum……recipes are so delicious ……thank u so much….